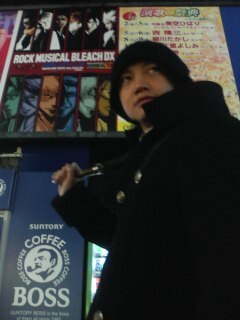 that poster in the back looks quite cool, i can just make out the character pictures from Bleach rock musical. you look quite suspicious in this one and a completely black outfit and that black beenie!! :D (^o^) heehee!